Passing Common Admission Test (CAT) as executed by Indian Law Institute, New Delhi is as important as passing any competitive exam. Being an examinee in the test, everyone is so eager to know the declaration schedule of ILI CAT Result 2017 in order to carry information about the weightage of rounds that ILI is to conduct to grant highly appropriate entrants the admission to PhD or LLM (1-year Course). Having taken the ITI CAT 2017 on 10th June, people just cannot seem to wait for their Scorecard which will tell them about the shortlisting for the next round, which, in this case, is going to be a GD-Viva Voce. That is why keeping updated is highly recommended & if you want to know about ILI Merit List 2017, then stay with us – continue reading. To follow the future dream, people choose different careers based on their interest, what they specialise in, etc. The same way, immense numbers of students had decided to get admission to PhD, LLM, PG Diploma Programmes, On-line Certificate Courses, and more. Because it is importantly a matter of “Making the bright future” which involves the right path which comes by taking the right decision. 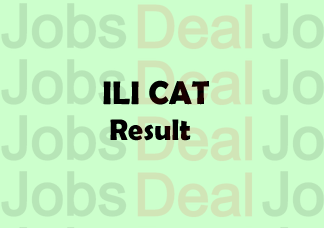 People, ever since the test got organised in the June month, are trying to get familiar with their ranking in ILI CAT 2017 and using “Rank Predictors (an online tool that predicts ranking in the test taken)”. We suggest such competitors to use this webpage to know their Scorecard, Merit List, Ranking, etc. Have you figured out the total weightage that ILI has finalised for having admission to different programmes? If not, we’ve discussed the weightage below for you to understand the process. All India CAT (Objective Type): It includes total weightage of 140 marks. Subjective Type Exam: This carries total 40 marks. Viva-Voce: An exam in which you have to answer the questions orally. This will be of total 20 marks. So, adding them up all, the ILI CAT Merit List 2017 is likely to be up (generated) for the suitable candidates. As soon as the ILI comes up with this list (containing the name of shortlisted candidates), we’ll tell you about it here. Note: The overall marks that will get you admission to the course are 200 (including all rounds: Objective Test, Subjective Test, Viva-Voce/GD). Everyone has tried their best in All India Common Admission Test as conducted on 10th of June this year. ILI CAT, Statement of Purpose (SoP), and Viva-Voce are going to put the impact on the result declaration. The institute is currently busy in checking the copies of attended candidates and verifying whether everyone was doing the paper right or not. Anyone who did not follow up the guidelines will not be entertained in ILI CAT Score Card 2017 and therefore admission will no more be a question. If your name is not itemised in the list of shortlisted candidates for GD/Viva round, it means you will no longer be part of the admission process. We’ve given some Tips that one can follow to reach the right link at the authorised web portal. At the beginning, visit www.ili.ac.in. You will see something like “latest/upcoming events”. Many links will be given there. You have to take care of the link that relates to ILI All Indian Common Admission Test Result by clicking it. Enter all required data with special care and save the same. And, once you are done with giving all the requisite information on the page, you will see another link to ILI CAT Result 2017, which will let you have the name of shortlisted candidates for the next round which is GD/Viva-Voce (Oral Test). We’ve developed an article on clearing the Viva-Voce. Please take your time for it below. Furthermore, if you have caressed this article with love, do share it with your friends.